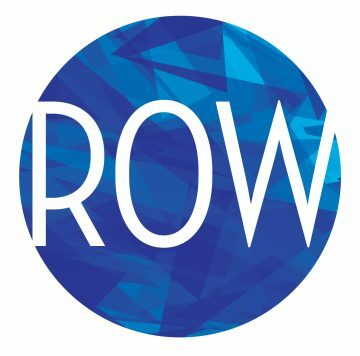 Row was commissioned the The Public Theater/Joe’s Pub as part of its New York Voices series. Writing began at The Orchard Project and was continued as The Public sponsored a reading of the first act, and then the whole musical, in addition to the Joe’s Pub concert as part of the original commission. The work continued at The Tofte Lake Center, The Kimmel Center, The Rhinebeck Writers Retreat, and finally as part of the Goodspeed Festival of New Musicals, with generous support from The Williamstown Theatre Festival. Tori Murden McClure is alive and well and living in Louisville, KY, where she is the President of Spaulding University. She’s been involved with Row since the first day, has seen a concert presentation of the show, and offered to build us a boat when it gets to production. Row is based upon a true story, Tori’s book A Pearl in the Storm, and everything that happens in Row is real, much of it coming from Tori’s actual journals and video diaries. Dawn is an accomplished singer and songwriter, and her new album Meet Me at the River just came out. Dawn lured legendary 86-year-old Country Music Hall of Fame producer Fred Foster out of retirement, having produced for Dolly Parton and Roy Orbison. The show takes place entirely on Tori’s boat, as she rows across the Atlantic. The company swirls around her, creating her world on the Ocean, and her past as her mind wanders. Though it is Tori’s story, Row is a true ensemble show and a celebration of the wonders of theatrical storytelling. Dawn and Danny have known each other for more than 15 years, and began their collaboration after bumping into each other at a Phish concert.